nice OS as tim said it looks like windows 10 I still like the windows 7 GUI better shame their is no setting to change it, shame they dumped Openshot video editor but you can still install. With all the flavors of Linux it's a tough choice to choose just tomany. Still a great OS but if your into looking at all the diffrent versions of linux this is the best place to start. Zorin 12 is completely different, dark a dreary looking and not quite what I had hoped for. May guess is that somewhere along in this new design cycle it lost it's true identity and personality. 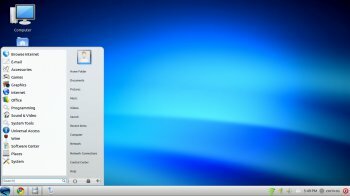 Lets review why people liked V9, v10, v11 and lets find a way update a distro properly without reinventing the wheel. I can not accept all the chages in Zorin OS 12 that make it just another Ubuntu-Me-Too ! Use Deepin, it uses a far better os (Debian NOT Ubuntu) and the Desktop is amazing, fast and Not Gnome. fantastic operating system Ubuntu backbone with a great interface! Great interface, been using Linux Mint , But this looks just as good , if not better, keep up the great work!